What is the real cost of an Environmental Review Tribunal? 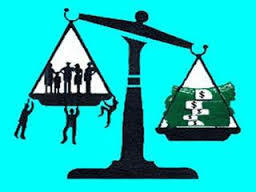 | Mothers Against Wind Turbines Inc.
What is the real cost of an Environmental Review Tribunal? 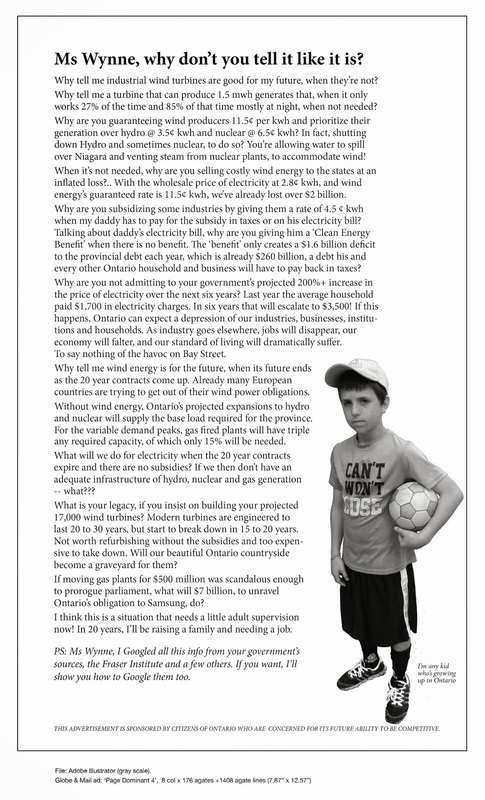 Mothers Against Wind Turbines Inc has launched both a health appeal and an environmental appeal against the Ministry of the Environment (now the Ministry of the Environment and Climate Change) in the decision by the MOE to approve the Niagara Regional Wind Corporation industrial wind project. Help tip the scale and donate to the Legal Fund. The process is an interesting statement on the evolution of justice with respect to the renewable energy initiative, a politically motivated initiative that has been touted as the saviour of the planet through reduced CO2 emissions. The preliminary hearing to determine who can speak and on what topic was held Dec 19, 2014 in the Wellandport hall. The first thing you notice, beyond the hard chairs and the poor acoustical system, is the abundance of legal council. There are three lawyers on the tribunal panel. They have been assigned by the Ministry of the Attorney General office to preside over this case. We are informed that the purpose of the hearing is for the tribunal to review the directors decision and consider ONLY whether engaging in the renewable energy project in accordance with the Renewable Energy Approval (REA) will cause serious harm to human health or serious and irreversible harm to plant life, animal life or the natural environment. So the scope has been limited and concerns about economic impact, democratic rights, anything beyond serious harm to human health and serious and irreversible harm to plant life, animal life or the natural environment are beyond the jurisdiction of this tribunal. It seems a little backward that the people that live in the community have to prove beyond a shadow of doubt that the engagement in a politically motivated initiative will seriously harm their health and/or their environment. The well resourced proponent does not have to prove the project will do no harm. They do not have to prove that the project will lower CO2 emissions – some of the latest research on that question indicates that when you consider the CO2 footprint of construction and decommissioning these projects actually increase the CO2 emissions. Nor does the proponent have to engage my locally elected municipal council in a meaningful way, because the local planning rights have been removed through the Green Energy Act 2009. So the democratically elected municipal council that is obligated by law to protect my health and safety has been neutered and in my mind the playing field is starting to tip in favour of the proponent. Just in case the above process slows down the game, the Environmental Protection Act requires the Tribunal to issue a decision no later than six months from the day that notice of the appeal is served on the Tribunal. So in this case, if a decision has not been reached byMay 21, 2015 then the original decision stands and the project as approved goes forward. It seems a little biased and a little backward – all you have to do is run down the clock – but then the Ministry of the Attorney General’s office drafted the Green Energy Act 2009 anyway. The MOE also has a bank of lawyers and they have also been assigned by the Ministry of the Attorney Generals office. Their job seems to be to protect their decision of approval of the project. So although all these lawyers are paid by the taxpayers of this province and most probably appear on the Sunshine List, you get the feeling that they are not on your side. Concerned citizens have sent thousands of letters to the MOE – during a 60 day comment period last year over 2750 comments were submitted with regards to this project. Through the iterative process the concerns were shared back and forth with the proponent and with very little change the MOE approved the project on Nov. 6, 2014. So they may feel obligated to justify their decision. The proponent also has a bank of three lawyers. They have a lot at stake in this decision too. If the project can be completed then they will make over $1 BILLION in subsidies paid for by the energy consumers of Ontario over the next 20 years. Just in case you wondered why your electricity bill keeps going up, we paid $1 billion in Global Adjustment fees for Oct. 2014 and as more renewable energy subsidies kick in that number is going to keep going up. The proponents lawyers keep reminding the Tribunal what decisions are beyond the scope of the chair and any reference to negative economic impacts really gets their attention. The remaining lawyer at the table represents all the concerned citizens of the communities that are in the footprint of this project. These are the citizens that are carrying a disproportionate financial load if anything goes wrong with this provincial motivated initiative. They have the most to loose be it their health, their environment, their wealth, or relationships in their community. But we all will be the big losers in the renewable energy game because when a judicial system so favours one side the lack of social justice tears at the fabric of our Canadian democracy. If a decision making process does not provide equal treatment of persons across time and place; does not suppress self interest or ideological preconceptions; does not use accurate information and informed opinion; does not provide opportunities for review and amendment; does not allow for a fair and just representation of those most impacted by the decision; and is not compatible with fundamental moral and ethical values then you do not have a fair process. The judicial system is one of the pillars upon which our democratic system rests and this ERT process exposes some serious systemic concerns. Previous PostSt. Anns – 24 turbines less than 5 km surrounding Atkins Pony RidesNext PostOur deepest sympathies.